Since 1971, Dr. Neumann has been in the SRI International Computer Science Lab in Menlo Park, CA, where he is now Chief Scientist. 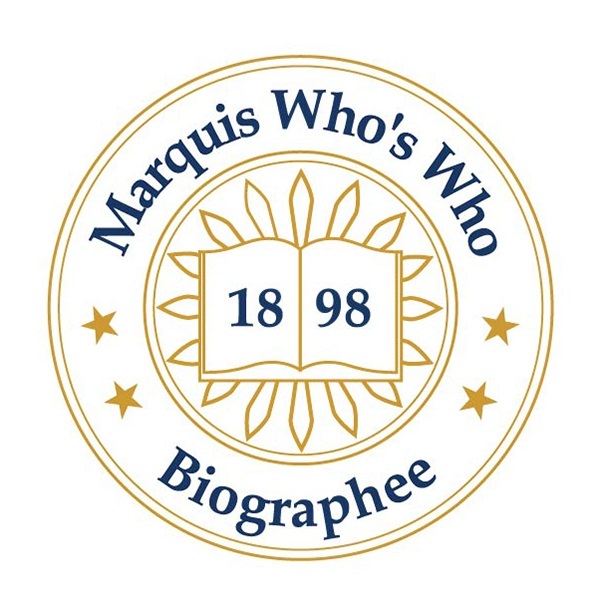 MENLO PARK, CA, October 02, 2018 — Marquis Who's Who, the world's premier publisher of biographical profiles, is proud to present Peter G. Neumann, Ph.D., with the Albert Nelson Marquis Lifetime Achievement Award. An accomplished listee, Dr. Neumann celebrates many years' experience in his professional network, and has been noted for achievements, leadership qualities, and the credentials and successes he has accrued in his field. As in all Marquis Who's Who biographical volumes, individuals profiled are selected on the basis of current reference value. Factors such as position, noteworthy accomplishments, visibility, and prominence in a field are all taken into account during the selection process. Since 1971, Dr. Neumann has been in the SRI International Computer Science Lab in Menlo Park, CA, where he is now Chief Scientist. Before this employment, he spent one year as a Mackay lecturer at the University of California, Berkeley. He held this same title at Stanford University in 1964. His first professional post was a member of the technology staff at Bell Laboratories in Murray Hill, NJ, from 1960 to 1970, apart from a summer job as a programmer for the U.S. Navy in 1953, and teaching and research assistant positions at Harvard. He also served as an adjunct professor at the University of Maryland in 1999. Dr. Neumann pursued academics at Harvard University, where he earned a Bachelor of Arts in 1954 and a Master of Science in 1955. In 1960, he earned a doctor rerum naturalium at the Technische Universität Darmstadt in the Federal Republic of Germany, while on a Fulbright for two years. One year after that he received a Doctor of Philosophy from Harvard University. He is not only a successful professional in the field, but he is also the author of “Computer-Related Risks,” which was published by Addison-Wesley Publishing Company in 1995, and which somewhat surprisingly is still timely today. There was a mutual appreciation between Albert Einstein and Peter's mother (professionally Elsa Schmid), who had made a mosaic portrait of Einstein (which is now in the Boston University Library). As an undergraduate in 1952, Peter called Einstein's assistant Helen Dukas, who said that AE adored his mother, and invited Peter to Saturday morning breakfast with AE. For over two hours, they discussed systemic complexity (and other matters). In his 66 years of work, he has spent a lot of time performing research around that topic, particularly relating to the design of computer systems. Aside from professional work, Dr. Neumann is on the board of the Greenwood Music Camp (which he attended from 1946 to 1950), and formerly on the board of the Electronic Privacy Information Center in Washington DC. He is a Fellow of the Institute of Electrical and Electronics Engineers, and of the Association for Computing Machinery, he was the editor of its Software Engineering Notes from 1976 to 1993, and has been chairman of the ACM committee on computers and public policy since 1985. He is also a fellow of the American Association for the Advancement of Science. As an accomplished individual, Dr. Neumann has received the National Computer Systems Security Award in 2002, and was named to the National Cyber-Security Hall of Fame. He has previously been featured in Who's Who in America, Who's Who in Science and Engineering, and Who's Who in the West. In recognition of outstanding contributions to his profession and the Marquis Who's Who community, Peter G. Neumann, Ph.D., has been featured on the Albert Nelson Marquis Lifetime Achievement website. Please visit www.ltachievers.com for more information about this honor.